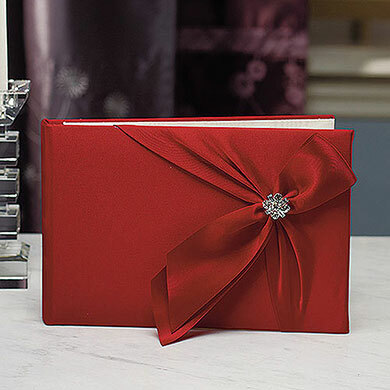 "Beautiful wedding guest books and other fine wedding accessories!" Give your guests and opportunity to "sign in" and leave comments for you on your special day. It is common to place a guest book at the church entrance and at the reception entrance so be sure to include them in your wedding reception decorations planning. Choose the perfect set for you whether traditional or contemporary, white or ivory we have a large selection to choose from.